The Great Barrier Reef has been hit hard by climate change. As waters warm, the higher ocean temperatures force the coral to expel the algae that lives inside of it, providing it with both its nutrients and its brilliant colors. If the water does not cool fast enough and the algae does not return, the coral dies. Australian scientists have found the "most diverse coral site" on the Great Barrier Reef, observing at least 195 different species of corals in space no longer than 500 meters, The Guardian reported. The non-profit organization Great Barrier Reef Legacy and marine scientist Charlie Veron, a world expert on coral reefs, confirmed the diversity of the site, also known as the "Legacy Super Site" on the outer reef. The Great Barrier Reef is under constant threat from climate change and aggressive pests, so it's a good thing that scientists at Queensland University of Technology (QUT) have built it it's own Terminator to defend it. Conservative lawmaker Scott Morrison has forced out Malcolm Turnbull as Australian prime minister, the third time the country's leader has sunk over climate policy in the past decade, and the seventh since 1997, according to Australia's ABC News. An internal Liberal party row started when Turnbull proposed modest emissions targets for the country's energy sector. 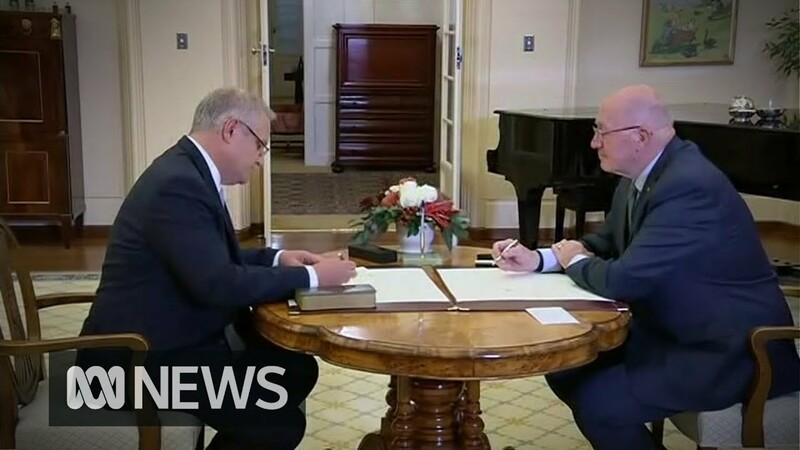 He dropped the plans Monday after pressure from the party's right-wing faction, but that led to a narrowly defeated leadership challenge from Peter Dutton on Tuesday, then a final ousting from Morrison on Friday.